Acer announced their new android phablet last month, the Acer Liquid S1, the device will launch in the UK on the 5th of August and will retail for £299.99. 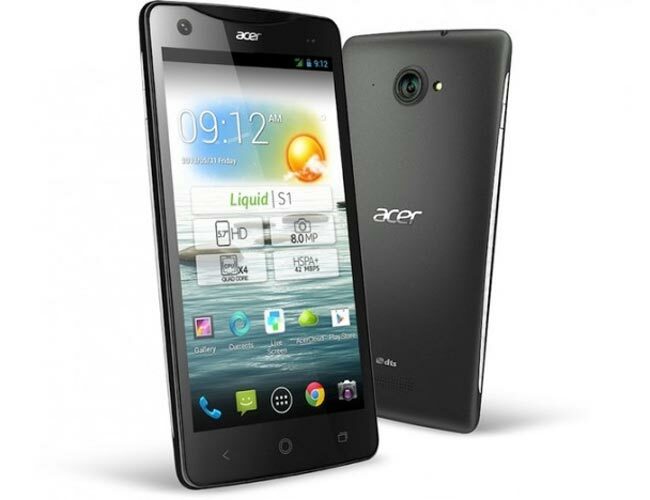 The Acer Liquid S1 features a 5.7 inch HD display with a resolution of 1280 x 720 pixel, processing comes in the form of a quad core 1.5GHz processor and it features 1GB of RAM. The Acer Liquid S1 will be available with either a dual or single SIM card slot, it features front and rear facing cameras with a 8 megapixel camera on the back for photos and video. There is also 8GB of built in storage an a microSD card slot for added storage, plus a 2,400 mAh battery and 802.11 a/b/g/n WiFi.